Best, Netherlands and New Mexico, USA – Royal Philips (NYSE: PHG, AEX: PHIA) today announced that it will further support oncology researchers’ efforts to analyze pathology samples by offering advanced image analysis algorithms from Indica Labs, Inc. as part of its Digital Pathology Solutions offerings. The collaboration will allow pathology researchers to apply intelligent algorithms to digitized pathology slides, which may enhance their ability to detect, process and extract information from tissue samples than currently possible using a conventional microscope. With more than 500,000 deaths expected in 2014, cancer is the second most common cause of death in the U.S. As the current cancer care process is often complex, inefficient and ineffective, there is a growing need to empower pathologists with quantitative data to inform personalized approaches and enable new cancer treatments. Image analysis, when based on high-quality digital images, has been shown to provide objective data sets for decision support. 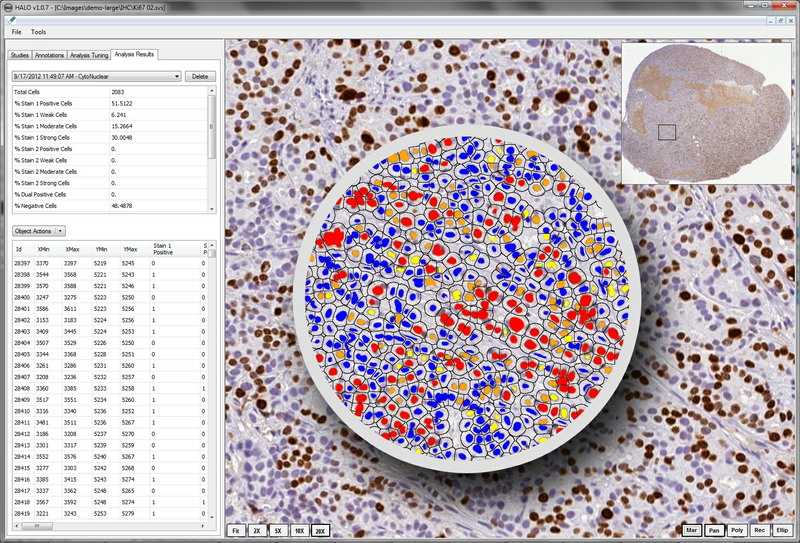 By using the combined Philips Digital Pathology Solution and Indica’s HALO™ image analysis platform, researchers will benefit from a streamlined image analysis workflow and improved productivity. Additionally, they will be able to extract more thorough information from tissue samples, enabling more insightful analysis than possible today – all while generating those results in a matter of hours or even minutes versus days. Philips research customers now have access to a flexible investigational toolset to develop new solutions, as well as a suite of software features for evaluating such cases as HER2, ER PR and Ki-67. Philips offers Indica’s HALO™ as an option with its Digital Pathology Solution for Research Use Only (RUO).